If you’ve started reading this post, I’m assuming you’ve just seen this season’s penultimate Doctor Who episode: The Pandorica Opens. If not, stop right now, turn the telly on and settle in to watch this episode. Unless of course you don’t like Doctor Who… but that would just be silly. 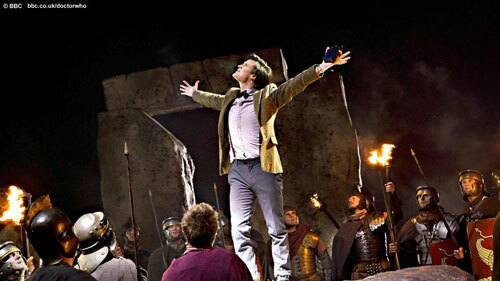 The two main mysteries that have been plaguing us this season were the Cracks in Time and the Pandorica. It always seemed the two were thoroughly linked together, and in this episode we are shown that they kind of are, but not quite as we were led to believe. From the previous episodes it always seemed as if the Pandorica was the cause of the Cracks in Time. Even though we had no idea what the Pandorica was, the obvious hints were making us believe that the Pandorica was the Big Bad. And it is. Sort of. All the Doctor’s villains are joining forces to create one gigantic trap for the Doctor, who they think is responsible for the end of the world. For once, the Daleks, the Cybermen and all the other bad guys are the ones being the “heroes”, stopping the Big Bad from destroying the universe (or so they believe). 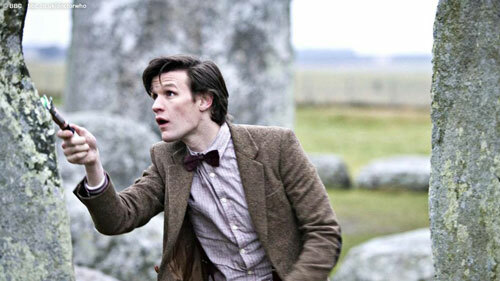 The Pandorica is only a reaction to the Cracks of Time, with them thinking that the Doctor will bring it about. Which brings us to the next question: if the Pandorica didn’t cause the Cracks, what did? By the end of the episode that is answered: the TARDIS exploding. Only what caused the TARDIS to explode? I still have a feeling it’s got something to do with Amy. 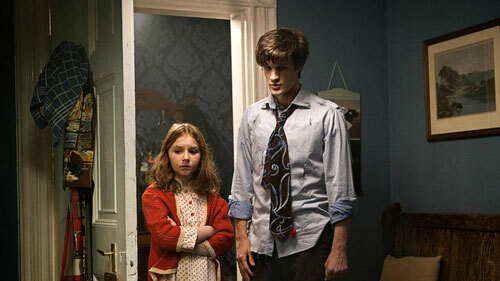 The TARDIS started acting weird the moment Amy started to remember Rory. I’m not sure how, but my gut is saying that’s got something to do with it. By the end of the episode the Doctor is trapped within the Pandorica, Amy is shot by Robot Rory, and River is stuck inside the exploding TARDIS. It’s a proper 3-part cliffhanger. I hope Moffat doesn’t go for a easy solution, like the villains realizing pretty quickly they’ve made a mistake and just let the Doctor out. Or having a surprise good guy show up to save the day, like Liz 10 or Jack Harkness. So here’s my guess for the next episode: I still think that the theory of the Doctor (or somebody else) traveling back to previous episodes and telling Amy what to do has merit. I think we’ll at least see someone go back to that moment where a young Amelia is sitting on her suitcase waiting for the Doctor to show up. Amy is key to the episode and my guess is that it will be a bit of a predestination/time loop paradox. Not sure how, but I think Moffat has the skills to come up with a complex circular story. Something like that by using Amy’s memories of things that were erased, the villains created a situation where she remembers stuff anyway, causing a paradox? What do you think will happen? Did you like this week’s episode? Discuss all your theories in the comments!